Staff and students from the Sixth Form College Farnborough helped create a giant human poppy to commemorate 100 years since the outbreak of the First World War. They posed in the college rugby field for the aerial photograph with soldiers, local councillors, school children, and representatives from the Royal British Legion. 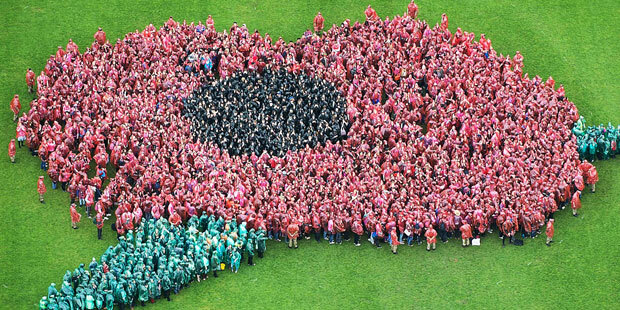 A total of 2,250 people dressed in either green, black or red and formed the shape of a giant poppy. They broke the Guinness world record for the largest gathering to create a human flower.